Howdy one and all – so another bank holiday beckons – Haroo! So it is another perfect opportunity to take a break from the craziness of everyday life – slow the pace right down and hang out with family and friends. Regardless of the weather, if you love your drink and also enjoy mingling with like minded people, have a love of music and good food, and of course are passionate about great beer and cider that’s brewed with the best ingredients, heart and soul, and masterful skill, then you may be interested in the following events that are happening all over the UK this weekend. Details: For 4 Days we’ll be stocking only By The Horns Beers! Come down and enjoy a strictly local beer (brewed just over 2 miles away) with a meet the brewer session taking place on Wednesday 22nd May between 5-7. Details: Celebrating their 1st anniversary they will have 30 real ales, 6 keg ales, 6 real ciders & perries with BBQ and other food. Live music every night. Open midday until late every day! Details: 10 from 10 Beer festival with at least 10 beers from breweries locally. £1.50 per half pint. Details: The event takes place in marquees and will feature more than 70 beers and ciders. As in 2012, there will be an attractive live music offering at all three sessions. Details: Eastbourne’s seafront Western Lawns play host to the south coast’s newest food and drink festival, as ‘Beer and Cider by the Sea’ kicks off a three day extravaganza to tantalise the taste buds. 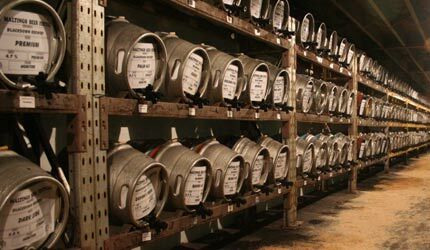 Real ale and cider lovers can sample around 100 real ales, ciders and perries, ranging from the Sussex based Long Man and Beachy Head Breweries to regional tipples from St Austell, Adnams and many more. Also featuring the National Cider and Perry Collection, cider fans can sample some ‘Double Vision’ or a ‘Moody Old Cow’ along with some great entertainment from live bands on the festival stage throughout the weekend. Details: Dark Star Brew Co. and The Kinesis Morvélo Project (The KMP) are pleased to announce the launch of this brand new event. Dark Star are long term sponsors of The KMP and this joint cycle team between Kinesis Bikes UK and Morvélo Bicycle Apparel embodies the thrill of racing without taking life too seriously. So we decided that we should combine forces again to bring together all those that love to ride, race, drink and eat. All under one roof. The suns out again and it’s the first of two well deserved May bank holiday weekends – Haroo! Details: 1 Village, 6 Pubs, 4 days – sounds like a festival! This page will often feature information about forthcoming events and festivals across the UK – for more information please check out my Facebook page or my twitter feed – thanks!